It's been two weeks since the last update. I didn't make it last week but board games were played interspersed with disappointed football fans. I made it this week though and brought a couple of new games with me. 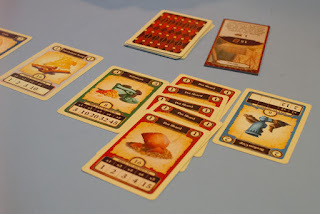 One was Archaeology: The New Expedition, the new version of Phil Walker-Harding's Archaeology card game. It's a small push your luck-ish, set collection game. It's good but no Sushi Go! in my opinion. 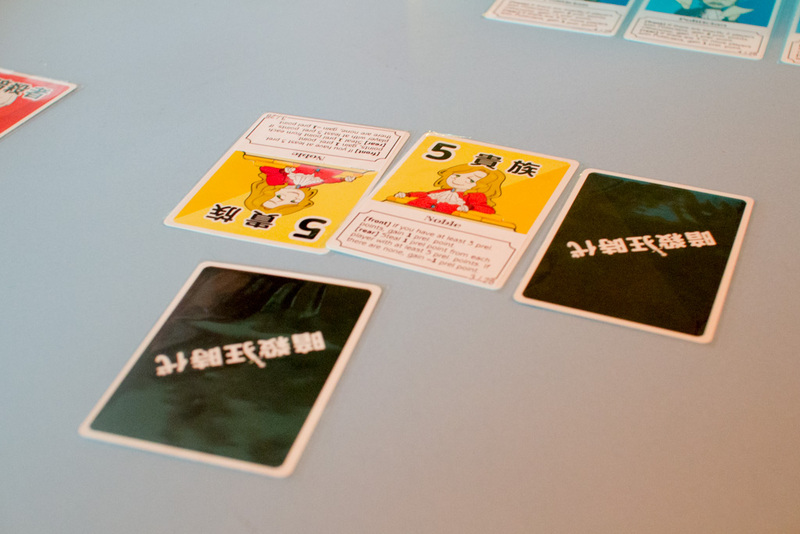 I also brought Age of Assassins, a drafting micro game I picked up in Japan. I finally got round to pasting up the translations and so brought it along. It's a race to 15 points and I managed it after only two round. Matt ended up with zero. Sorry Matt. We also played Sea Of Clouds. Phillip did well on pirates and amassed an incredible amount of money. None of us stood a chance. Social deduction games are as popular as ever with people playing Deception: Murder in Hong Kong Night Ultimate Werewolf and Good Cop, Bad Cop which seems to have replace Secret Hitler for the moment. Black Fleet also made an appearance and Nathan brought Codinca, an abstract game he'd picked up at the UK Games Expo. I left a bit early so there were probably a bunch of other games I didn't see.